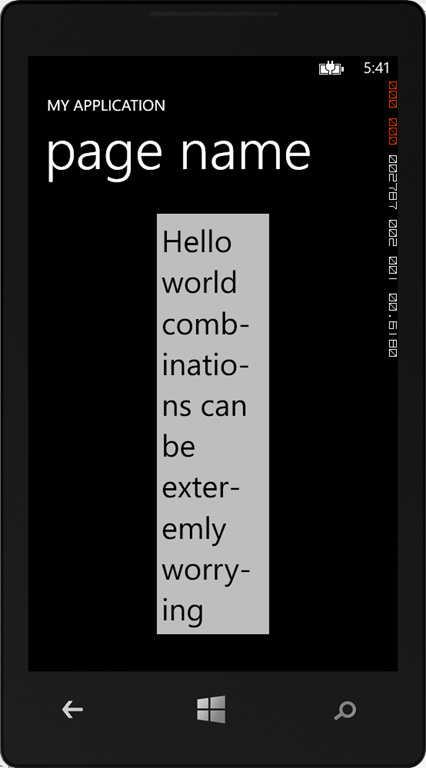 Recently the topic of text hyphenation for Windows Phone has cropped up. So I thought I’d give it a quick go. Note, this is an initial stab at a solution, I’m not suggesting it’s fully functional but certainly could be built upon. The design is pretty simple (although is it Right-To-Left compatible? 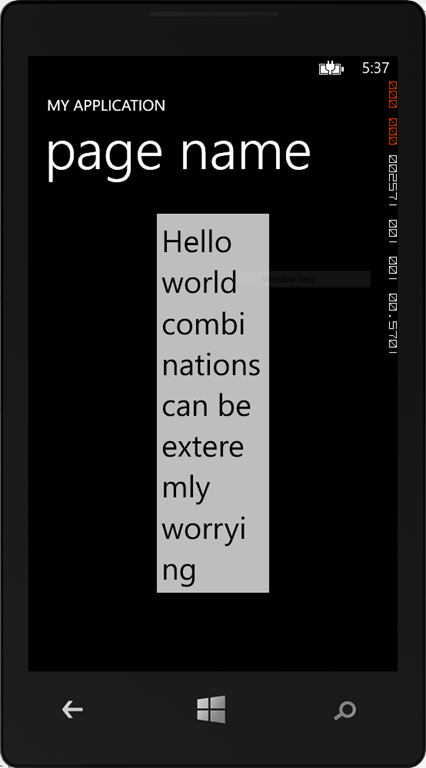 ), check when the text moves from one line to the next. When it does, check to see if the last character is part of a word. It it is, the add a hyphen. As I said, it probably is not production ready code but could be built upon.